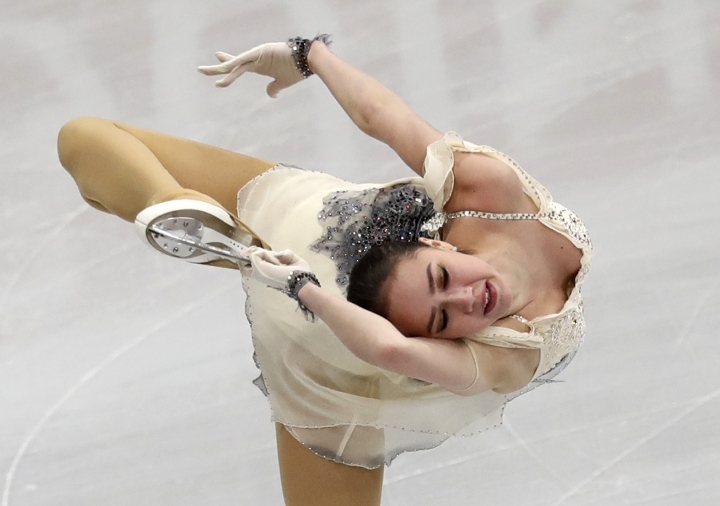 MINSK, Belarus — Olympic figure skating champion Alina Zagitova wobbled but still took the lead in Wednesday's short program at the European Championships. 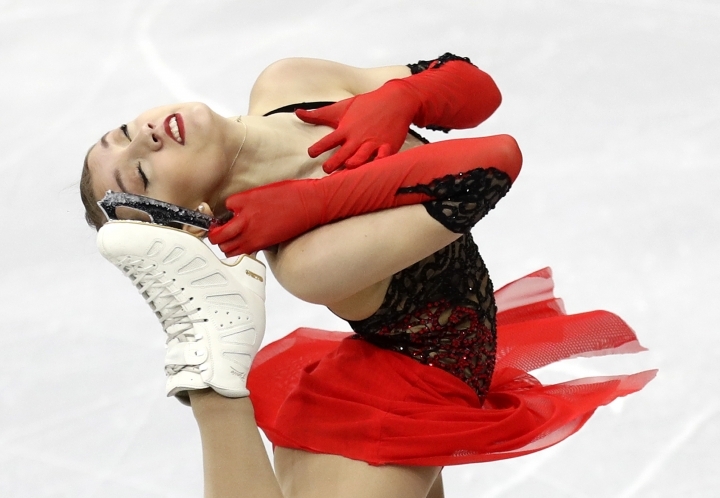 "I was just focused on having a clean skate," said Zagitova, who was recovering from a disappointing fifth-place finish at last month's Russian nationals. 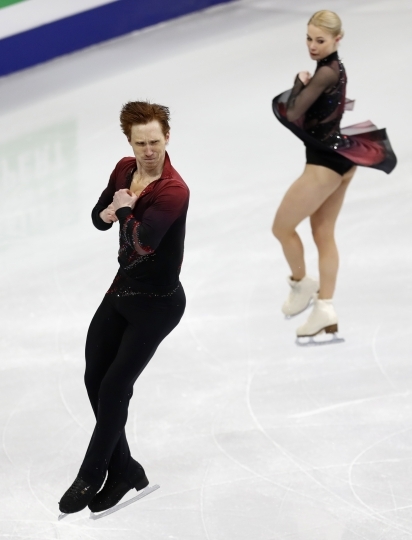 "I was deliberately trying not to show my emotions and I don't plan to until the free skate. There were some flaws but they can be fixed. Now I need to get focused as much as possible for the free skate." American-born Swiss skater Alexia Paganini is third with 65.64 points, 0.03 ahead of Viveca Lindfors of Finland. Paganini is looking to become Switzerland's first European medalist since Sarah Meier won the title on home ice in 2011. Russian hopes of a podium sweep took a hit when Stanislava Konstantinova fell, scoring 56.76 for 11th. The free skate is Friday. Olympic silver medalist and two-time European champion Evgenia Medvedeva isn't competing after failing to make the Russian team at nationals. 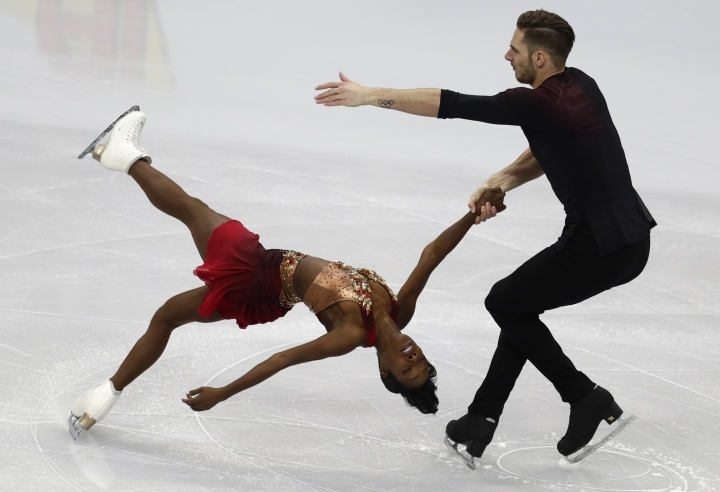 France's Vanessa James and Morgan Cipres — unbeaten this season — lead the pairs competition in the short program with a clean skate and a score of 76.55. That was just enough to beat the two-time defending champion Russians Evgenia Tarasova and Vladimir Morozov, who scored 73.90 with what Morozov called a "middling" skate after Tarasova made a mistake on a triple toeloop. Italy's Nicole della Monica and Matteo Guarise are in the bronze-medal position ahead of Thursday's free skate on 73.70 ahead of two more Russian pairs.